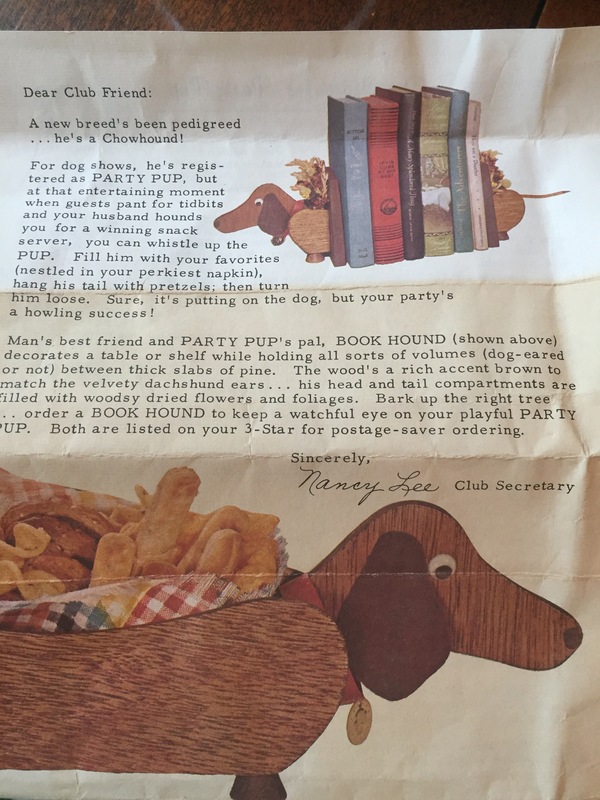 When I saw the ad on the back of the January 1967 issue I became infatuated with the Snack Hound. 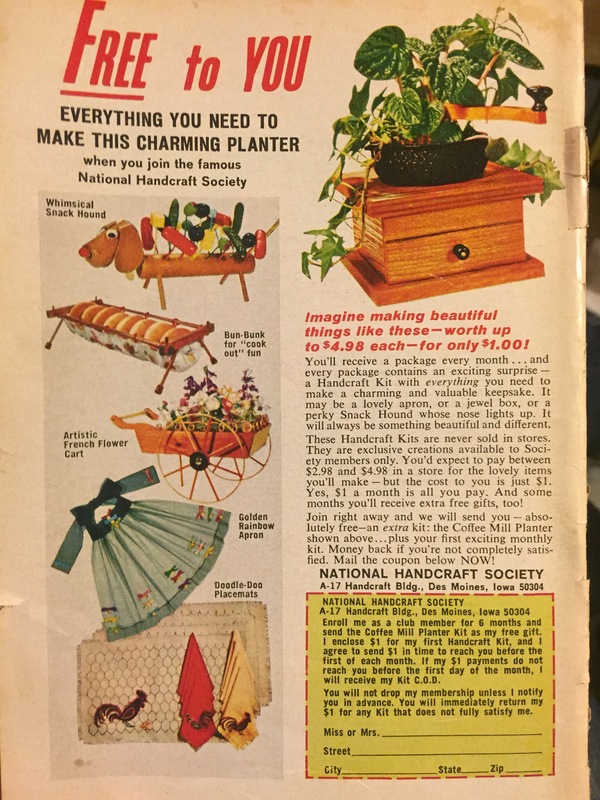 The National Handcraft Society, aka The Fad of the Month Club, was a long running craft club that has lots of advertisements in the Workbasket over the years. What I found interesting is that there were also membership pins! If you remained a member for one year you got a little gold pin. So cool. You can still find the kits on ebay, and other second hand sources like thrift stores and yard sales. 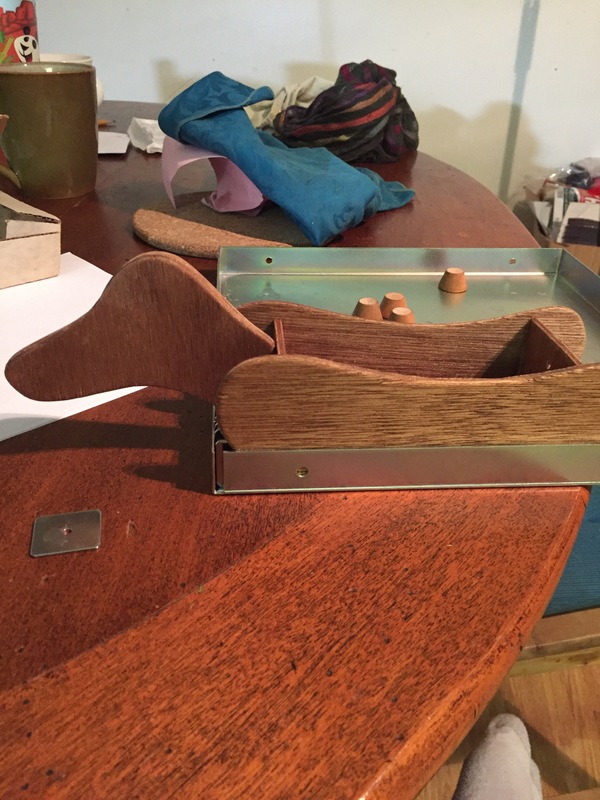 I decided to try to track down a Snack Hound, so I set to work. 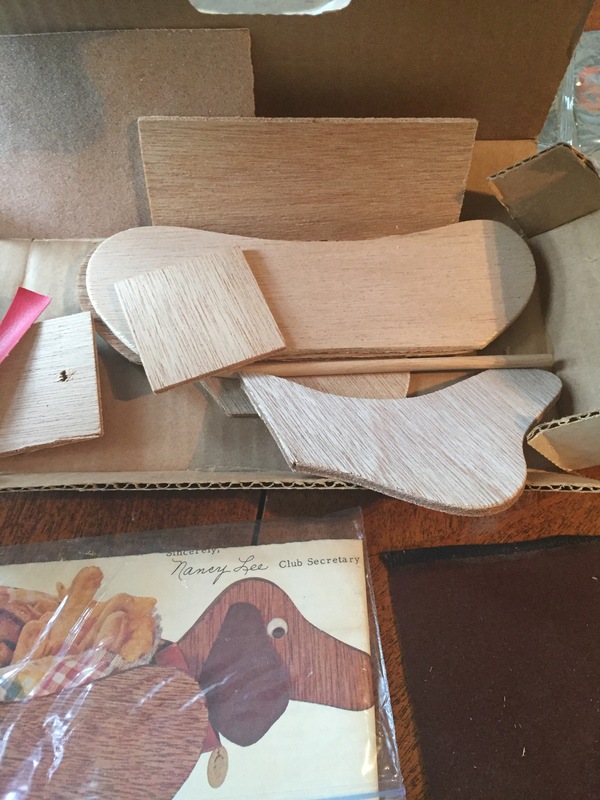 I found a kit pretty quickly, but NOT from 1967, and sadly they changed designs over the years. 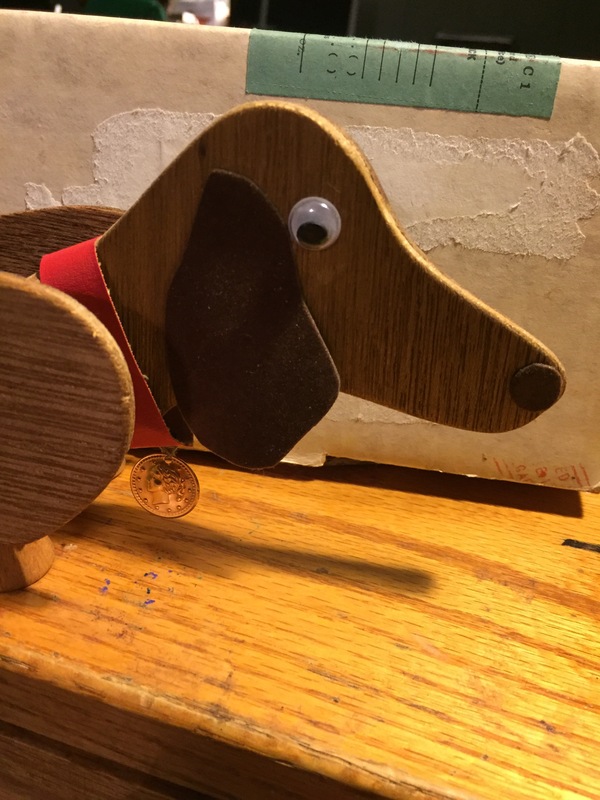 Instead of the noodly dog which appears to be a dowel they switched to shorter, probably sturdier, design called the Party Pup. I got my kit, with the original paperwork and saw there was also a Book Hound! Instead of 1967 my Pup was from 1976. But I still think he’s pretty cute! I admit, I do like the 60s style spindly dog better, but I’m pretty happy! I spent the weekend assembling my pup, and all in all it was pretty easy. The wood quality wasn’t amazing, but hard to say if that was effected by time or not. The original white glue packet was included but, obviously, quite dried up. However the original stain worked great! 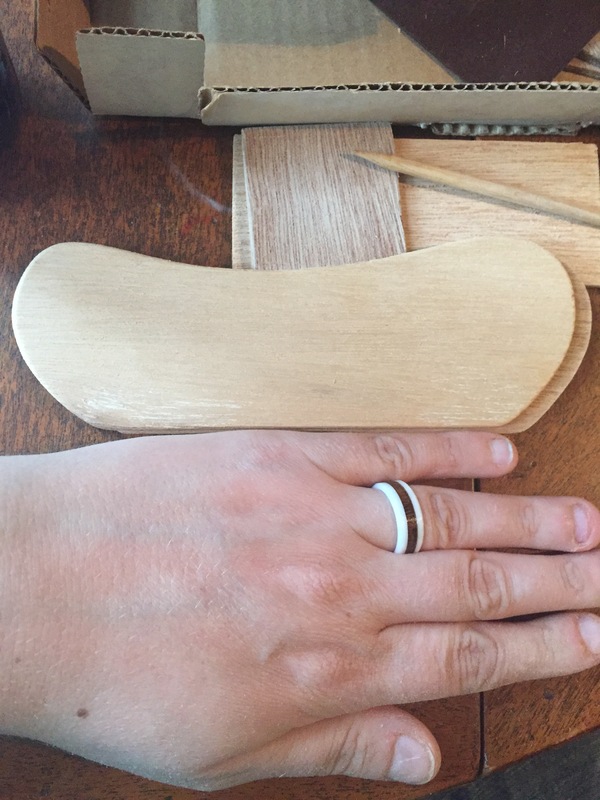 I was a little concerned about using white glue instead of wood glue but wanted to keep itauthentic and the instructions included some extra steps that really made the white glue hold surprisingly well! I will say, for the name Party Pup he certainly isn’t party sized. I was a litte surprised at how small he was. But all glued together he does take up a decent amount of space. I used a gluing jig I have to make him nice and balanced and hold everything together while it dried. And I think he came out great! We loaded him up with my “perkiest napkin” and some homemade tortilla chips. I my buy some cute paper cocktail napkins just to go with him. My cloth napkins were all to big and this larger paper napkin didn’t work great either. Unfolded was to big and folded was almost to small. Hopefully an unfolded small napkin will be perfect. How can you resist this face!?! 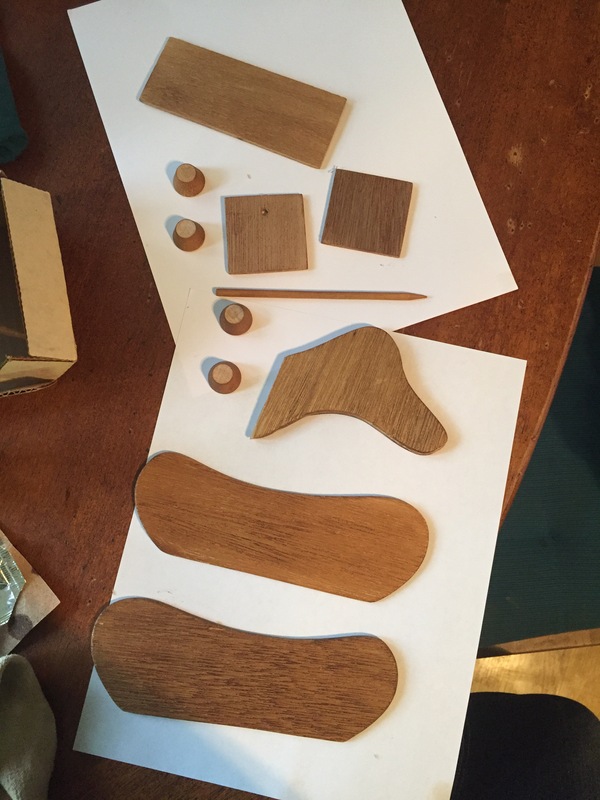 The kit itself was great! If I stumbled upon more Fad of the Month Club kits I’d buy them and make them in a heartbeat. It was very easy to assemble and the main reason it took all weekend was drying time between steps, and general putzing around on other projects. He’s been finished and waiting for his collar for several days too. 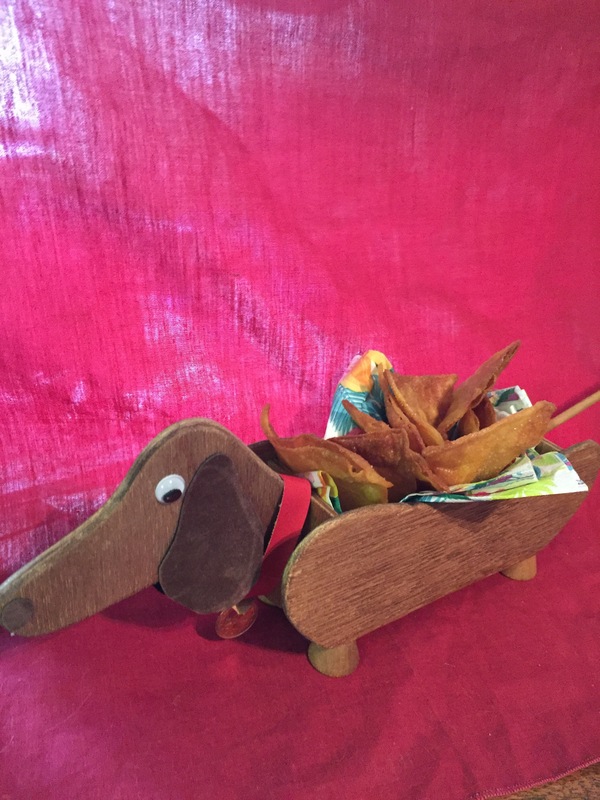 And I’m not giving up hope on one day finding a 1967 spindley version Snack Hound! Googly eyes make everything better! He is very snack-sized. For maybe one person. I can easily see them being addictive! It was so fun and easy to put together, and the ideas are all so cute! I still want that spindly snack hound, and the bun bunk! If I ever happen upon some kits I’ll be buying them! That would be fantastic! I’ll be sure to check out your site also!